A U.S. District Court judge made mistakes when she rejected Apple’s request for a sales injunction against rival Samsung Electronics in a multimillion-dollar patent infringement case, Apple’s lawyer argued before an appeals court Friday. 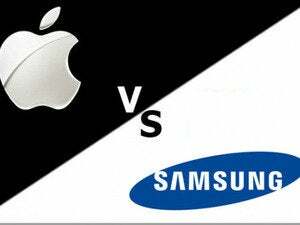 After a jury found in August 2012 that Samsung had infringed six Apple design and utility patents, Judge Lucy Koh of the U.S. District Court for the Northern District of California incorrectly held Apple’s patents to a “rigid” standard for determining whether to ban the sale of six Samsung smartphones, said Apple lawyer William Lee, arguing before the U.S. Court of Appeals for the Federal Circuit. Koh wrongly decided that each of the six patents in question needed to be the driving functionality for consumer interest in Apple’s products before she could issue a sales injunction, Lee said. That reasoning would make it difficult to issue an injunction in cases involving complex technology products, Apple's attorney told the appeals court judges. The court found that Samsung had infringed Apple’s patents and found the infringement caused irreparable harm to Apple, Lee argued. “That should be enough” to issue a sales injunction, he added. Samsung lawyer Kathleen Sullivan said there was no evidence presented at trial showing that Samsung had copied Apple’s products. “There was no jury finding of copying,” she said. Apple never presented evidence that any of the six patents was a major driver of smartphone sales, and an injunction wasn’t justified unless the patents were essential to sales, she said. During the infringement trial, Apple presented documents about the importance of design and ease of use, but didn’t connect those concepts directly to the patents, she said. Appeals court Judge William Bryson noted, however, that Apple did present survey evidence showing that consumers would pay significantly more for phones that contain the patented invention. If a consumer is willing to pay more, that may suggest that a patent is a driver of consumer demand for the product, the judge said. Samsung's attorney told the court that three of the Samsung products covered by Apple’s proposed injunction are no longer sold, and the other three contain new designs that avoid the patents. The appeals court should reject the injunction because Apple had licensed its designs and utility patents to competitors, including Nokia and HTC, and had offered to license the technology to Samsung, Sullivan said. The offers to license show Apple was content with collecting money for the patents and didn’t want to keep the technology away from competitors, she said.